Guest Editorial: Children and the Near-Death Phenomenon: Another Viewpoint • P. M. H. Atwater, L.H.D. A Note on Anesthetically-Induced Frightening `Near-Death Experiences' • Kenneth Ring, Ph.D. The Death Dream and Near-Death Darwinism • Stephen L. Thaler, Ph.D. Questions for the "Dying Brain Hypothesis" • William J. Serdahely, Ph.D. Distressing NDE as Photographic Negatives • Gracia Fay Ellwood, M.A. Expanding Grof's Concept of the Perinatal: Deepening the Inquiry into Frightening NDE • Christopher M. Bache, Ph.D. 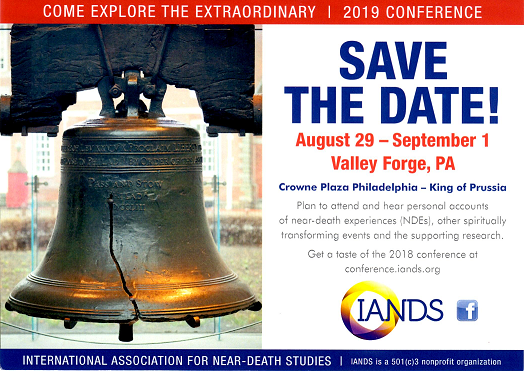 Guest Editorial: A Contribution of Frankl's Logotherapy to the Interpretation of NDE • James C. Crumbaugh, Ph.D. The Anatomy of a Transformation: An Analysis of the Psychological Structure of Four NDEs • Patti R. White, Ph.D. Thought Communication, Speed of Movement, and the Spirit's Ability to Absorb Knowledge: NDE and Early Mormon Thought • Brent L. Top, Ph.D.
Book Review: After the Light: What I Discovered on the Other Side of Life That Can Change your World, by Kimberly Clark Sharp • Reviewed by Bruce Greyson, M.D. Letter to the Editor: Could endorphins participate in the limbic pathways responsible for NDEs after acute cerebral hypoxia? • Patricia Guevara, M.Sc. Psychophysiologic Correlates of Unconsciousness and Near-Death Experiences • James E. Whinnery, Ph.D., M.D.